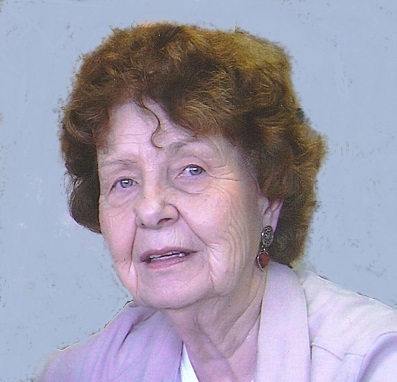 Rosalie Barker, 90, formerly of Nevada, passed away on Thursday, March 21, 2019 at the Via Christi Village in Pittsburg. Rosalie was born July 24, 1928 in Kansas City, MO to William and Lelia (Hayes) Lowry. She was united in marriage to Thomas William Barker on May 25, 1946 in Kansas City, MO and he preceded her in death on January 21, 2003. Rosalie was raised in Kansas City and attended school there. She came to Nevada in 1969 from California. Rosalie was a homemaker all her life and enjoyed crocheting, and flower gardening. She loved most of all to laugh and spend time with her family. Survivors include two sons, Don Barker and his wife Lisa, Nevada, Jim Barker and his wife Connie, Nevada; grandchildren, Shannon Chrisenbery, Jodi Barker, and Victoria Simon,; great-grandchildren, Brandon Barker, Trayton Scotten, Morgan Scotten; two sisters, Caroline Roemhild, St. Peter, MN, Ann Papiana, Ankeny, IA; several nieces and nephews. Graveside services will be held at 11:00 a.m. on Wednesday, March 27, 2019 at Deerfield Cemetery in Deerfield, MO. The family will receive friends from 6-7:00 p.m. on Tuesday evening at Ferry Funeral Home. Friends may call at the funeral home from 1:00-4:00 p.m. on Sunday and during regular calling hours on Monday and Tuesday. Memorials are suggested to the Alzheimer’s Association in c/o Ferry Funeral Home in Nevada.